Puzzle is one of the most popular genres of games for the Nintendo DS handheld console. The other genres are RPG, action and turn-based strategy DS games. 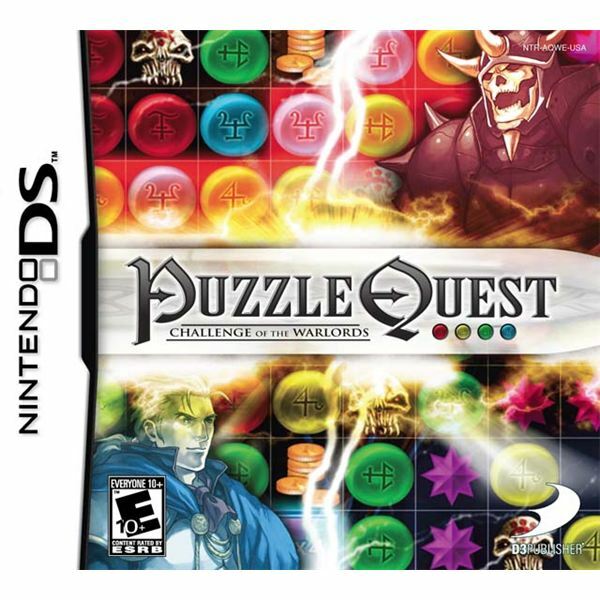 There are plenty of puzzle games made for handheld consoles, but Nintendo DS puzzle games are unique in every aspect. Some of them infuse RPG or side-scrolling platforming elements to puzzles while others bring back the old 2D point-and-click adventure game and sprinkle charming logic-based puzzles to add more variation to it. We take a look at some of the best puzzle games that have charmed gamers with their addictive and unique gameplay concept. The ever-popular match-3 puzzle game Bejeweled gets even more addictive with Bejeweled Twist. The game released on several platforms, including Nintendo DS. 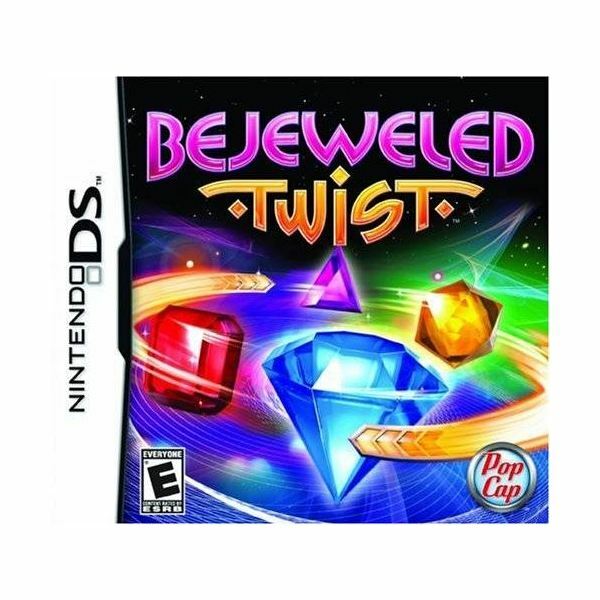 The DS game includes the Classic mode which adds a twist to the Bejeweled puzzle game. You will have to swivel quartets instead to swapping gems to match them. The game also has two additional gaming modes: Blitz and Challenge, which are as impressive gameplay-wise as the Classic mode. While Bejeweled Twist is addictive, it is the new twist that might make gem-matching a bit difficult than the first game. Rotating quartets can make things complicated and slows down the fat-paced gem-matching too often. However, there are those special gems that make Bejeweled Twist play worthy. You have lightening, fruit, bomb and flame gems, each with special powers and can clear off adjacent gems with them when matched. The animated effects are truly splendid and certainly add a new twist to this puzzle game. If you are a Bejeweled addict, then you should buy this and get more addicted with the new changes. Puzzle Quest is just like Bejeweled, only more addictive because it marries off RPG elements with match-3 type of puzzle mechanics. The plot is quite similar to any fantasy RPG game you’ve played and includes a world populated by dwarves, knights, wizards, dungeons and orcs. With a unique Manga art style, typical village setting, enemy castles and dungeons, the game allows you to undertake quests and fight random orcs and ogres to unlock new surprises, spells and weapons. The heart of the game is the Bejeweled-styled puzzle system, which lets you match three or skull-shaped pieces to attack a monster. The game has a tutorial mode to explain basic aspects of gameplay and definitely is worth a buy if you are looking for a good solid puzzle game with RPG elements infused to it. 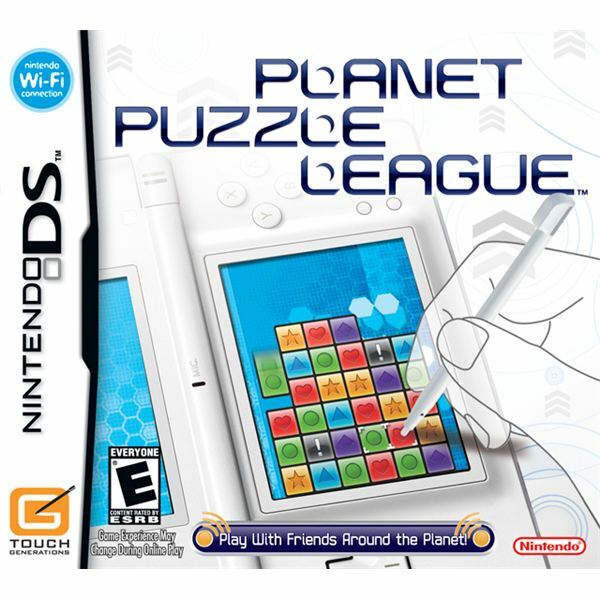 Planet Puzzle League is one of the best Nintendo DS puzzle games with a huge fan-following. Played in a book-style (vertical) orientation, the game is like Tetris, only more addictive and colorful. You will have to align similar-colored blocks vertically or horizontally to clear them. Cleared blocks explode and the playing field accommodates for more stacks of blocks to be cleared away. If you clear more than three blocks at the same moment, you earn a combo, which adds more points to your kitty. Scoring combos can really get interesting once you are adept in matching blocks. Once you start playing, there’s no way you can stop matching blocks, earning points and scoring combos. If you like Tetris style games, then Planet Puzzle League can be an excellent choice for you. The 3D version of Picross DS, this puzzle game adds more fun than its predecessor. With a unique combination of the popular Minesweeper, Sudoku and crossword puzzle, Picross 3D provides a solid puzzle game that keeps you busy for hours without losing interest. The objective is to smash up a structure made of cubes with numbers to uncover a hidden pixilated 3D object. It is just like chiseling a rock sculpture, but using logic and being patient. The 3D version throws in some additional features, including a good, comprehensive tutorial. Breaking through the 3D grid of blocks may seem difficult, but require you to jog your grey cells to sculpt and uncover a lovely hidden goody. 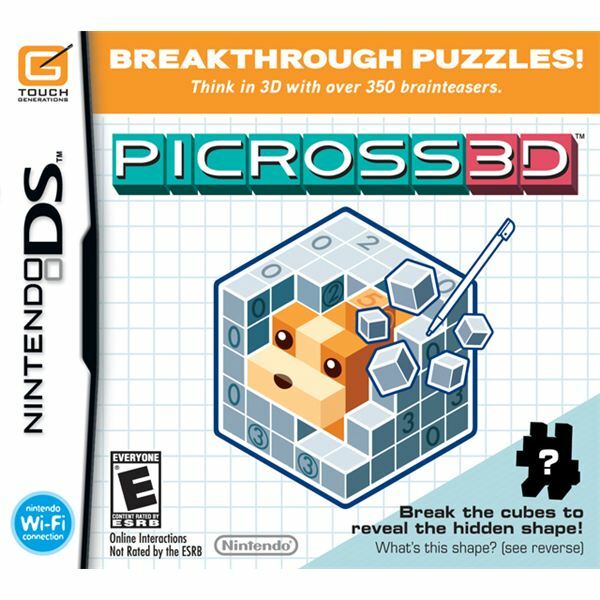 Because of its uniqueness, and addictive gameplay, Picross 3D is one of the best Nintendo DS puzzle games. 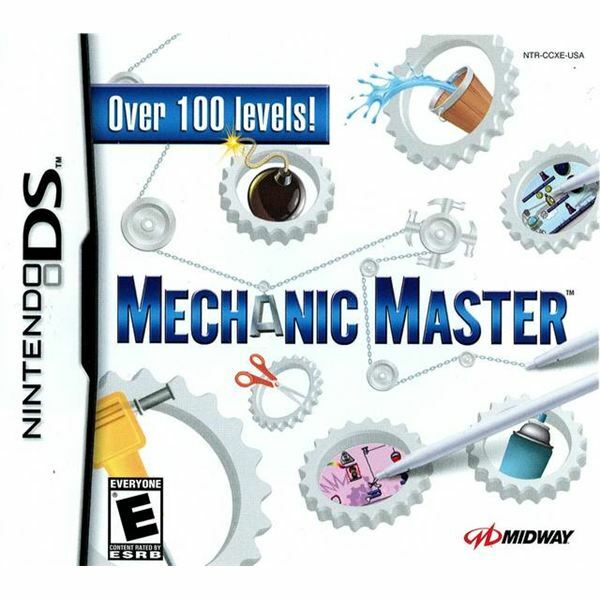 If you like Crazy Machines and The Incredible Machine, then I am sure you will love Mechanic Master. This magnificent puzzle game brings Rube Goldberg-style gameplay to the Nintendo DS platform. The gameplay concept is not quite similar to Crazy Machines, but is surely inspired by such games. The Alien Invasion plot throws in more uniqueness to the game and makes that game incredibly addictive once you understand the concept. The puzzle types in Mechanic Master employ physics-based gameplay mechanics and gravity to provide the best puzzle challenges. You will have to turn on fans, roll balls and create a mechanism that will solve the given task. You will also have to draw lines and guide items, and use your puzzle-solving skills to slide around crates and move balls. With hundreds of Rube Goldberg-esque puzzles waiting to be solved, Mechanic Master tests your logic and succeeds as a great puzzle game. There are plenty of puzzle platformers created for the DS platform and most of them allow gamers to provide a safe passage to the hero by using objects and placing them at the right place. 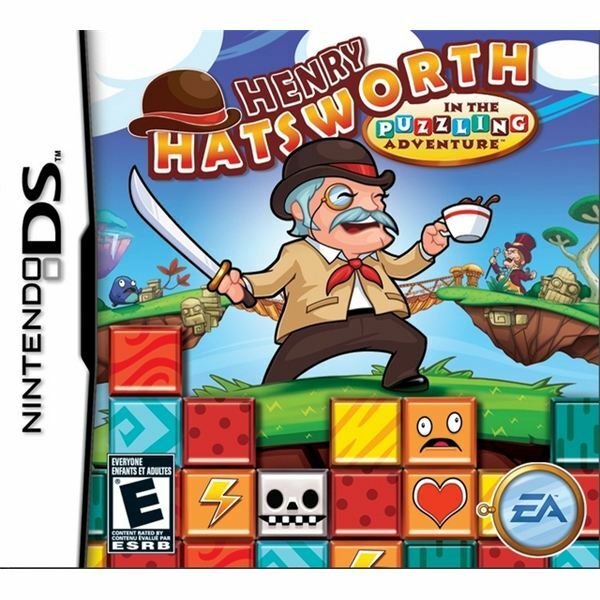 Henry Hatsworth is different from other puzzle platformers. Here you will have the usual 2D platformer with Henry Hatsworth fighting against the bad guys in pursuit of the enigmatic “Golden Suit”, but below there’s a Tetris type of a puzzle game that adds variation to this action platformer. Any enemies slashed by Henry are transported to the bottom of the DS screen. You will have to slide and swap blocks and match 3 or more blocks of the same design/color to make sure that the top blocks fall down. Failing to do so will bring back the dead enemies, making it difficult for Hatsworth to defeat them. There are also other advantages of breaking blocks, including various power-ups that add special powers to Hartworth’s attack or restore his health. These new features plus an addictive and unique puzzle/action platformer combo guarantees hours and hours of fun. 4. Mario vs. Donkey Kong Mini-Land Mayhem! When two 8-Bit legends meet, you have a great game on hand, and the fact that this rivalry has spawned some of the best Nintendo puzzle games for the handheld console makes this game even more cherishing. Like other games, Mini-Land Mayhem is a puzzle platformer which pits our dear Mario against the hefty Donkey Kong who has kidnapped his girlfriend Pauline. Mario has to rescue his beloved friend by using those cute little Mario toys and get them to the exit door. The objective is to set these toys in motion and provide a safe exit for them. You will have to use your stylus to take advantage of ladders and conveyor belts as well as many other objects to get the toys to the exit door safely. The challenge is that you won’t have access to many objects and have to use limited number of objects to set them in motion. Although the puzzles provide a fair bit of challenge, you won’t be frustrated by them and will find every level quite addictive. 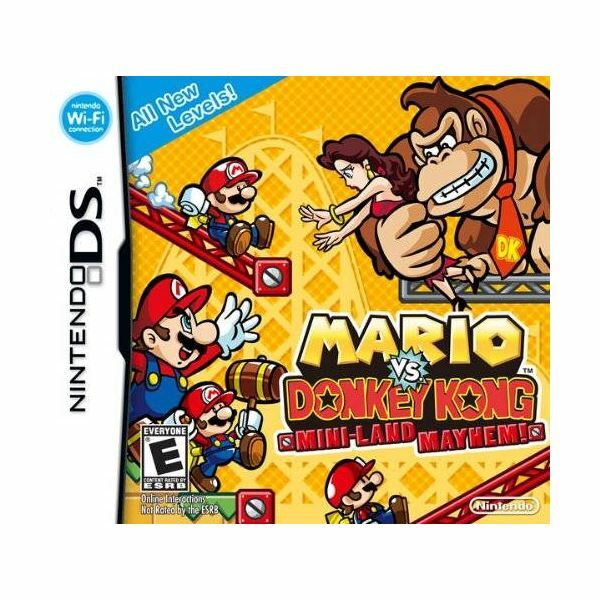 Overall, Mario vs. Donkey Kong Mini-Land Mayhem is a great puzzle title for all Mario and Donkey Kong fans. I really don’t know whether Brain Age helps you solve math problems quick and mkaes you smarter in school, but it surely does have some excellent puzzles to keep you busy for days. The game claims to sharpen your intelligence by activating your prefrontal cortex and improves your puzzle-solving abilities. A set of brain-enhancing tasks, including quick play puzzles and Sudoku puzzles, test your intelligence, logic and problem-solving skills and provide a score that defines your “brain age”. The best score that a player gets is 20, which generally implies that your brain is as quick as a 20-year-old to solve mathematical, logic and memory puzzles. Each day, your Nintendo DS screen will display a set of basic puzzles that you will have to complete within the given time frame. Your performance will be stored on your profile and you will see a graph and report everyday to know about your brain age. You can download more puzzles via Nintendo’s online service and solve more puzzles to sharpen your brain. 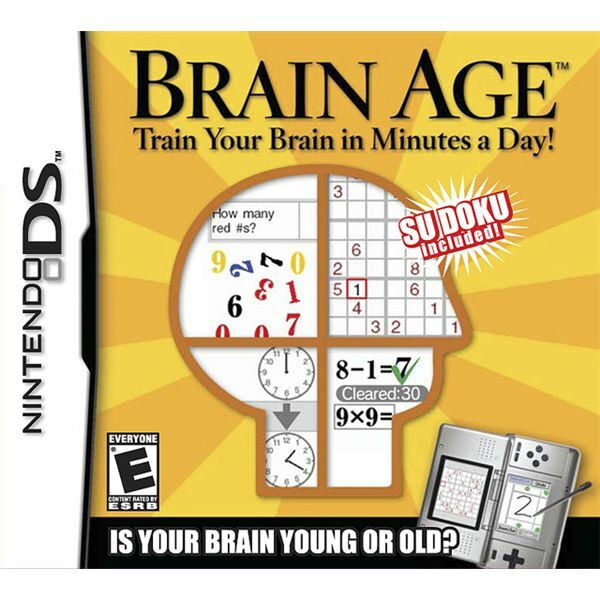 Brain Age is quite affordable when compared to other similar Nintendo DS puzzle games. It may be repetitive, but certainly addictive and your money’s worth. 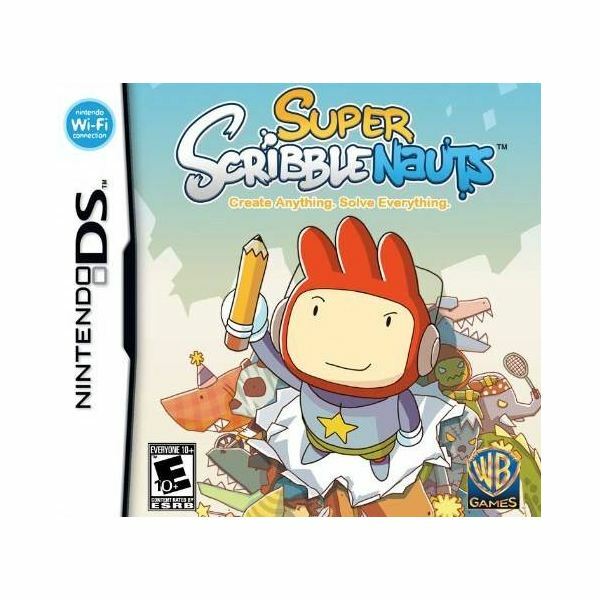 The sequel to Scribblenauts, with its extensive list of adjectives, is one of the best word puzzle games ever developed for the Nintendo DS platform. The side-scrolling action puzzle game allows players to interact with different objects in a particular level by inputting the name of any object within the game’s vocabulary list. The challenge lies in entering the right words to summon objects and collect “Starites” with the help of the summoned objects. Along with fast-paced action, the game’s word puzzles bring in more fun and test your vocabulary and imagination. You can also create your own levels using the in-game editor and share them with your friends via the Wi-Fi connection. If you like games that combine action and puzzles, then Super Scribblenauts is just the game you are looking for. The Professor Layton series of Nintendo DS puzzle games blends an interesting plot and tricky logic puzzles. Players also get to explore far-off lands and interact with people who provide valuable hints to solve challenging puzzles. The first game of the series, Professor Layton and the Curious Village, combines adventuring with puzzle-solving and has over 100 puzzles. You can also download more on DS every week via the free download service. The difficulty level of the puzzles is fair enough and some of the more challenging ones may require hints to solve. Thankfully, there is a good hint system that may help you solve them. The exploration part of the game relies on the age-old point-and-click game mechanic. Players can use their stylus to tap objects, uncover secret locations and hidden puzzles as well as interact with people by tapping on them. 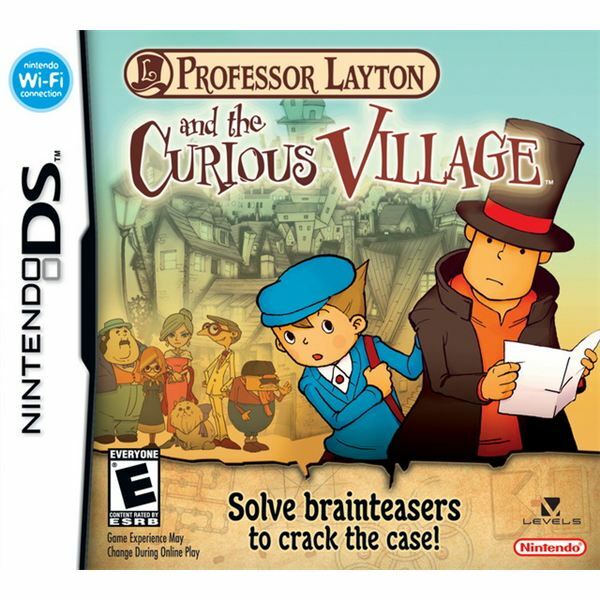 One of the key aspects of the game is its interesting plot, and most importantly, a good conclusion after a hectic puzzle-solving session making Professor Layton and the Curious Village a satisfying puzzle game.